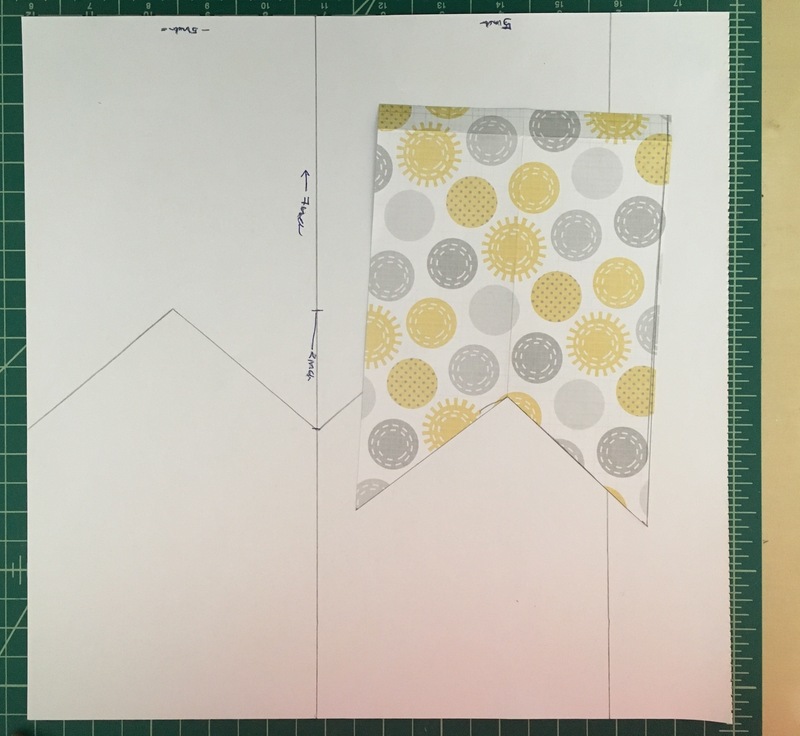 Paper Bunting Activity – Odds & Hens : Ramblings. Creations. Buntings are an easy and versatile way to decorate. There are so many great kits and pre-cut products out there. This version using poster board and dot paint markers. I did this as a shower activity but had some left over bunting pieces and we did more painting together. My toddler-guy likes the dot markers (and making a mess and tasking the paint) so this was pretty fun activity for all of us. I enjoy making designs too. Who doesn’t love polka dots or pretending you are an epic bingo player…. 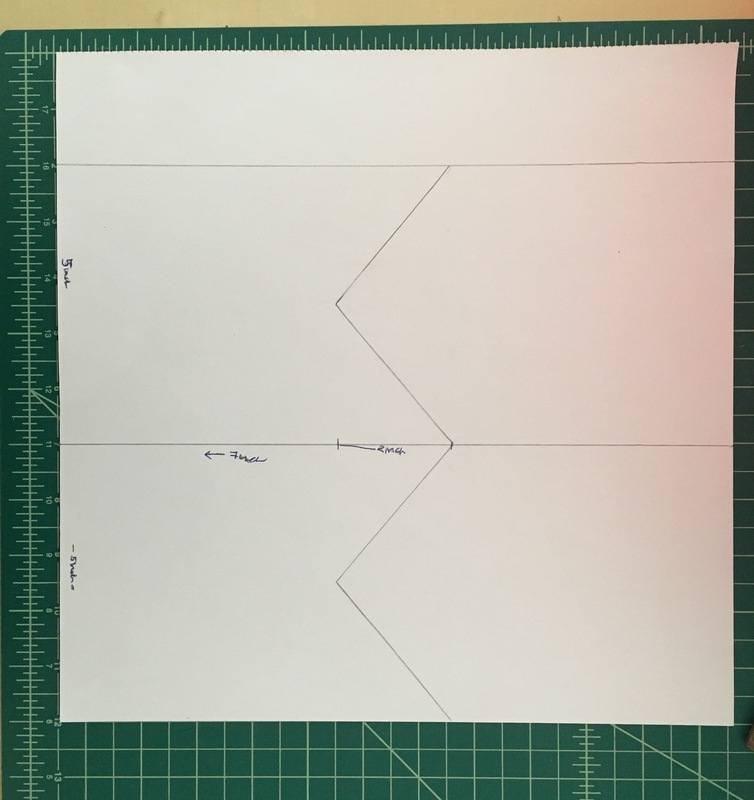 Draw out a template for your bunting. It could be a triangle, or flag or more shield like. These are 5 inches wide 7 inches long at the tip or longest edge. I did two shapes the flag and more ‘shield’ like version because they used up more of the sheet paper. The template was cut out of a 12 x 12 inch piece of scrapbook paper that i have used for other buntings/garlands. The angles are at 2 inches from the bottom and i just measured over to a point in the middle (2.5 inches). Decorate!! Have fun. Everyone decorated different designs for a nursery decoration for the new baby. Later, my toddle-son and I painted more together for his room. Granted he painted the counter and his face mostly. I did try to decorate all on either the shiny side or more matte side of pasteboard but nothing to get to hung up about. 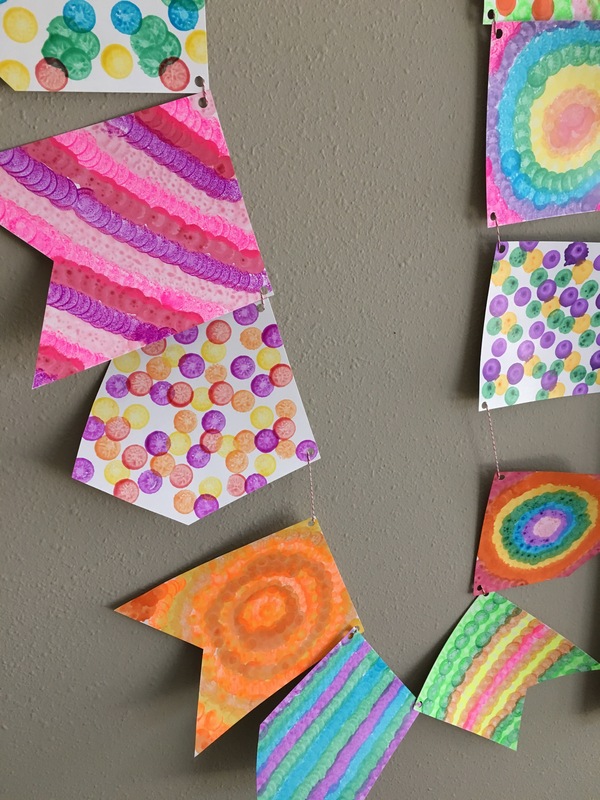 This pattern and tutorial works really well with scrapbook paper too – quick party decorations! You can even just stitch the paper flags together. I like the ones with more white space but found my self really daubing away. Hehe. Thank you! It is fun and easy. So many options. Be sure to share a picture if you make one.